How did you start working together and why? Kemal: I have known Ian Williams – Co-director (with Lorna Pearcey) of Caplor Horizons – for about five years. He and I worked together very closely when we were both CEOs of two international development organizations that made a decision to merge (Ian was CEO of Concern Universal – now United Purpose – and I was CEO of Village Aid). The merger was very successful and we developed a strong working relationship that was forged as we brought our two organizations together. 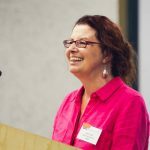 This involved blending organizational cultures, work across 11 different country programmes and bringing supporters, staff and volunteers with us on the journey. When Ian moved on to set up Caplor Horizons, a charity that helps other non-profits strengthen their leadership, strategy and influencing capacity, I knew that they would be an excellent organization to collaborate with as INASP sought to help strengthen library consortia capacity. I was very impressed with the quality, skills and experience that Caplor Horizons staff (Ian, Lorna and Jean) brought as well as their incredibly talented pool of 50 or so advisors that bring leadership skills from across the voluntary, public and private sector to our partnership. 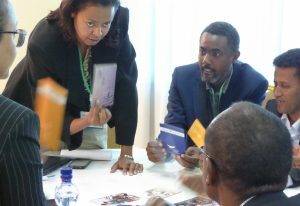 After INASP’s regional conference in Ethiopia in July 2015 seven of our African consortia partners decided that it was crucial to focus on five critical areas (or streams) to strengthen organizational effectiveness. These included strategy, leadership development, advocacy, influencing and learning amongst others. The conference brought together library consortia from Ethiopia, Zimbabwe, Ghana, Uganda, Kenya, Tanzania and Malawi. There seemed to be a very good fit between what Caplor Horizons is specialist in and the priorities and needs of our consortia partners. INASP and Caplor Horizons have worked very closely together to co-create the Leading in the Library programme, which draws on, and combines, the strengths and talents of our respective organizations. Ian: We feel that INASP and Caplor Horizons have worked harmoniously together, inspired by this joint purpose, each organization brings different skills and experiences. INASP’s vast wealth of experience in working in the knowledge economies of each country as well as its longstanding relationships with the consortia enabled Caplor Horizons to harness our strengths as facilitators in experiential learning and our experience surrounding organizational, leadership and team effectiveness to jointly deliver this innovative programme in a way that was well received by the consortia members. Integral to our partnership is a joint commitment to and belief in the consortia being sustainable, learning organizations with strong distributed leadership qualities. What are the strengths of Southern library consortia and what challenges do they face? Ian: At Caplor Horizons we have been overwhelmed by the commitment of the consortia members, the fact that all members are volunteers and balance their input to the consortia with their full-time jobs and other commitments indicated their passion and dedication for the distribution and access to knowledge resources. This belief in a world of equal access to knowledge is one of their greatest strengths. The voluntary nature of the consortia also brings some challenges, such as succession planning as well as creating a sense of team and organization when many members are spread across the country they are based in. 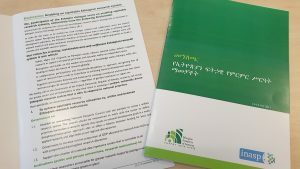 However, when working with all of the different consortia across the four countries, we have been blown away by their openness and eagerness to learn and improve their consortia. What does a typical forum look like and what is the aim of these forums? Kemal: There is not any such thing as a typical forum – precisely because the project has been designed so that it is adaptive and iterative. Depending on the needs and priorities that emerge at each stage we adjust what we cover in, and who is delivering, each forum. That said, during forum 1 in each country we tried to help consortia to review and refresh their current strategy – supporting them to lift their vision, communicate their strategy in a compelling way and explore some of the crucial areas that will help them to work more effectively in terms of leadership, strategy and influence. Forums 2 and 3 then took a deeper dive into the critical issues that emerged during the first forum. We cannot take a one-size-fits-all approach because the circumstances and contexts are unique to each country (although there are clearly some common threads across the four countries). 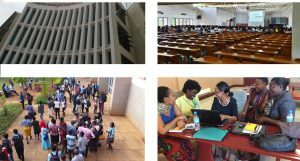 Depending on the issues that emerge – we select the best team to facilitate the forum (which takes into consideration the skills and expertise of the Caplor Horizons advisors and INASP staff who will work together). Ian: Each Forum is bespoke and designed to meet the needs of the consortia and themes emerging from previous Forums. However, every Forum is based around the principles of experiential learning; creating a different, enjoyable and stimulating learning environment. What have you achieved so far through these forums? Kemal: It is still very early days and we are just coming to the end of the delivery phase – so it would not be possible, or even appropriate, to talk about long-term impact for our consortia partners. We will soon be starting the evaluation and should hopefully be able to gather some interesting learning that will help INASP answer this question in a more nuanced way. However, early indications suggest that our partners have benefited enormously from the programme. In particular, I was hugely pleased to see the quality of the sessions that our consortia partners ran during the regional conference in Uganda recently. It was evident that they were talking about their strategy and vision in more compelling ways and were thinking much more robustly about those things that are vital for organizational sustainability, such as fundraising, leadership succession and effective advocacy. Ian: For Caplor Horizons, being able to watch each consortium strengthen and further develop their strategies and leadership capabilities has been a significant highlight. Being part of the growing ownership, pride and eagerness to communicate about the consortia, their strategies has been a wonderful experience. Furthermore, we have gained a deeper, more appreciative understanding of the vital importance of the work INASP and the Consortia do to put knowledge at the heart of development and how impactful this can be. 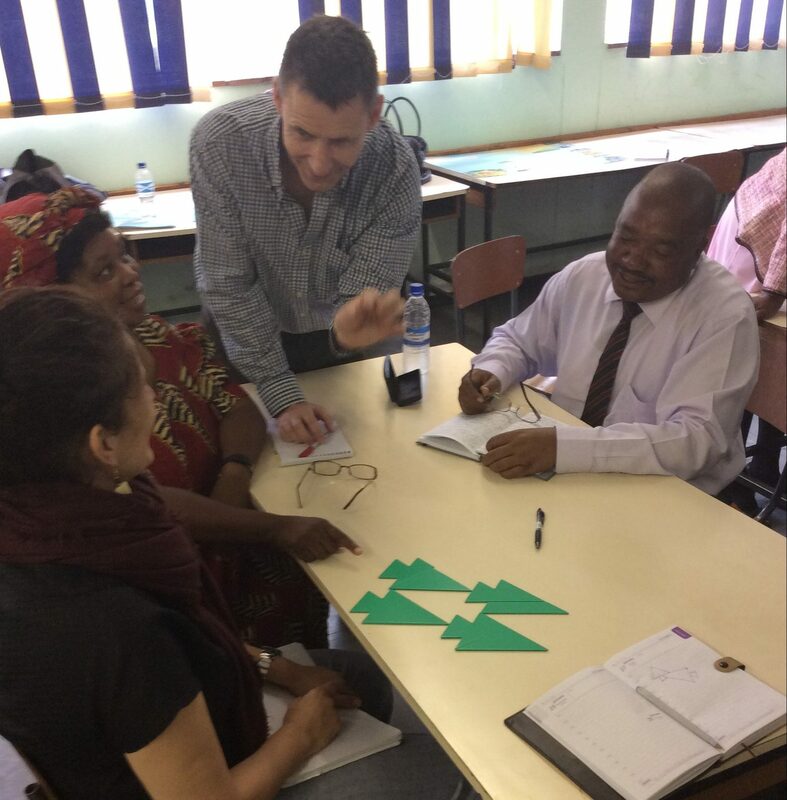 Leading in the Library Forum 2 recently took place in Zimbabwe. Click here to view participants’ feedback. It certainly has been a refreshing learning curve for the ZULC through the INASP/Caplor Horizons Leading in the Library programme. This is a library development approach that was designed to review and strengthen strategy, build advocacy capacity and strengthen leadership by fostering leadership renewal that would sustain the work of consortia in Africa and in Zimbabwe in particular so as to achieve sustainable and continuous access to knowledge and information.